Distance makes the heart grow fonder, right? My sincerest apologies for two weeks without Cheap Tunes Tuesday—between a trip around North America and Independence Day, I could not find the time. But rest assured loyal reader, upon driving two thousand plus miles around the U.S. and Canada, one think I did was listen to A LOT of music. Undoubtedly including a few tracks by today’s band, a top-20 selling band of all time. Edward and Alex Van Halen were born in the Netherlands, sons of musician Jan Van Halen. The family moved to Pasadena, California in 1962 with young Edward learning classical piano. Edward began a paper route so he could pay for his very own drum set, while Alex was handed down a guitar. Alex would sneak around the play the drums, infuriating Edward—forcing him to go play Alex’s guitar out of spite. Their first semblance of a band came in 1972, playing backyard parties with Edward on vocals/guitar, Alex on drums and a buddy on bass. They rented a sound system from David Lee Roth, but to save money on the rental, offered him lead singer duties. After a couple name changes, simply going to Van Halen stuck, thinking the name had power, like Santana. Their local shows and self-promoting started to get them a major following, getting them into bigger clubs in late ’74. It was finally Gene Simmons of Kiss that heard them at a club and produced a demo tape for them in 1977. Despite Simmons and the Kiss management team bowing out of Van Halen’s future, the band got a record deal with Warner Bros. after they heard the demo and after Van Halen gave an outstanding performance at Whisky A Go-Go in Hollywood. Recoding of their debut album began in October of 1977 and only took three weeks. 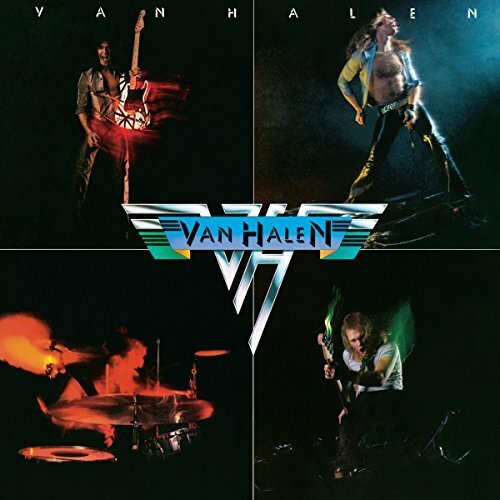 Simply titled Van Halen, and only costing $40,000 to produce, the expectations weren’t super high— however almost immediately the album was a smash hit. The debut single was a Kinks cover of “You Really Got Me” that shot up to #19 on the Billboard Charts. Critics and fans took quick note of Eddie’s mastery of the guitar and Roth’s over-the-top stage persona. Some critics thought the band’s sound was too similar to Led Zeppelin or Deep Purple and felt they had little staying power. Fast forward to today, and this album alone has sold nearly 20 million copies worldwide. They’re one of few bands that have two albums certified diamond status in the U.S. – their second being the album 1984. Often, I struggle to summarize my thoughts in iconic albums. This album is music history—one of the best of all time. It has all sorts of accolades now and was the feature of Guitar Hero: Van Halen edition. Rollin Stone magazine wrote an article years back even crediting Van Halen, specifically two tracks on his album, for bringing hard rock back to the mainstream. Eddie has to be in the top five all time for guitarists. What he did on this album, and introduced so many people to what can be done on the guitar, is truly remarkable (not bad for a guy that wanted to be a drummer). Coming up on the 40th anniversary of this record coming out, you can listen to it today and it could have been recorded last year. It holds up that well. Van Halen became infamous for their public disputes and several break-ups and reunions. But make no mistake; they’re also famous for making great music. VH1 ranked them the 7th best hard rock artist of all-time. And worldwide, they’ve sold more than 80 million records. Throw this album on today, even if it was $20 bucks, it’s guaranteed to satisfy. How much TDS Fiber speed do you need? One of my all-time favorite bands! Several of their songs frequent my playlists. Timeless! Ice cream man is one of the best Van Halen songs period. A fine choice. So very true! You really can’t go wrong with this record. Thanks for commenting!